Twitter has begun to roll out a new interface to its web users, featuring multiple key features, such as a newly designed emoji button. The most important changes are small shortcuts to make tweeting easier. 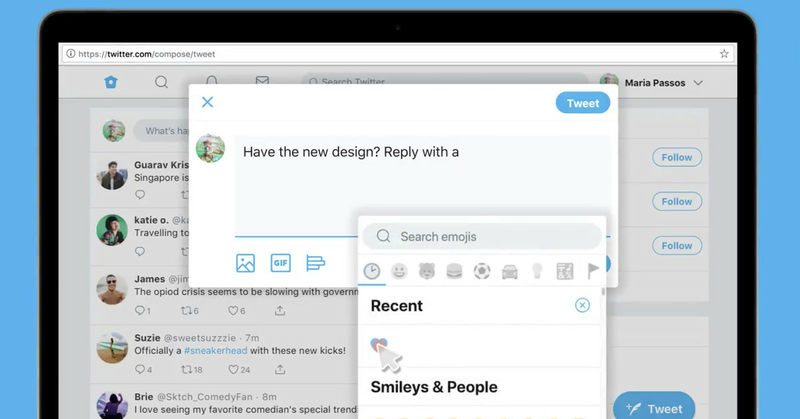 A large, dedicated button in the tweet box makes it easier to add an emoji, an updated trend section is displayed on the right side of the page, and small aesthetic updates make it easier to see who is involved in a conversation. These changes, along with how the Twitter desktop version has condensed from three columns to two, make it easier to read and send tweets. None of these changes are part of Twitter's previously announced updates. Beta testing for several new Twitter features, including status updates and response functionality, has not yet started. It is unclear how many people will be able to record to the new desktop version of Twitter, but those who can will be presented with the ability to do so. The Verge has reached out on Twitter for more information on a wider rollout.